Whether you were an avid jogger before you had your baby or have only recently decided to join the ranks of the runners, we take our hats off to you for getting active with your child. Healthy habits start early, with what you feed your baby and the learning toys you purchase for them. So, why not start early when it comes to healthy physical activities? While you may have found yourself limited when your child was a tiny infant, now that they’re a bit older, they can join you on all sorts of fun outings. Besides, babies of all ages want to explore, and what better way to show them the world than by taking them on a tour of all your favorite outdoor areas? A good single riding stroller can mean the difference between popping out the door for your run, or being stuck in the house wondering how on earth that tire broke again. Here are some of our picks that won’t leave you stranded. This stroller earns plenty of praise regarding how well it maneuvers and its ability to cover all types of terrain. It has an adjustable suspension system, and you can lock the front wheel in place or set it to swivel. Unfortunately, this stroller does not automatically lock when you fold it up, so it takes a little more effort on your part. What it does have, though, is a good amount of storage and a handlebar with nine positions so that no matter who is doing the pushing, they will be comfortable. After the purchase of an adapter, this stroller is compatible with several car seats. Another stroller that scores high with avid runners, this stroller is much easier to fold up than the Revolution Pro, self-locking instead of needing anything manually strapped together. You can also snap in compatible car seats once you have purchased the adapter. It is, however, a bit bulky and has no handbrake. On the bright side, the handlebar is adjustable, the wheel can swivel or lock, and the seat is machine washable. With a light aluminum frame and the ease at which it folds up, this is a good stroller for when you’re on the go. The front wheel can be set to swivel or be locked in place, and the handlebar is adjustable. One thing that you might be disappointed in is the back brakes, which have to be locked individually and are not sandal-safe. On the bright side, the canopy has built-in MP3 speakers, so your child can listen to music on the ride, and the spring suspension provides a comfortable experience. This stroller performs very well in areas where you need to make tight turns. What it doesn’t do is offer an adjustable handlebar or suspension, and lacks a handbrake. Many parents have also remarked that it’s harder to keep this stroller on a true course while running, so avid runners might want to give this one a pass. However, the aluminum frame makes for easy pushing and, despite a lack of extra features, it offers a comfortable ride for your child and is a respectable choice for the casual runner or jogger. First of all, our hats are off to you for wanting to exercise with two little ones along for the ride. 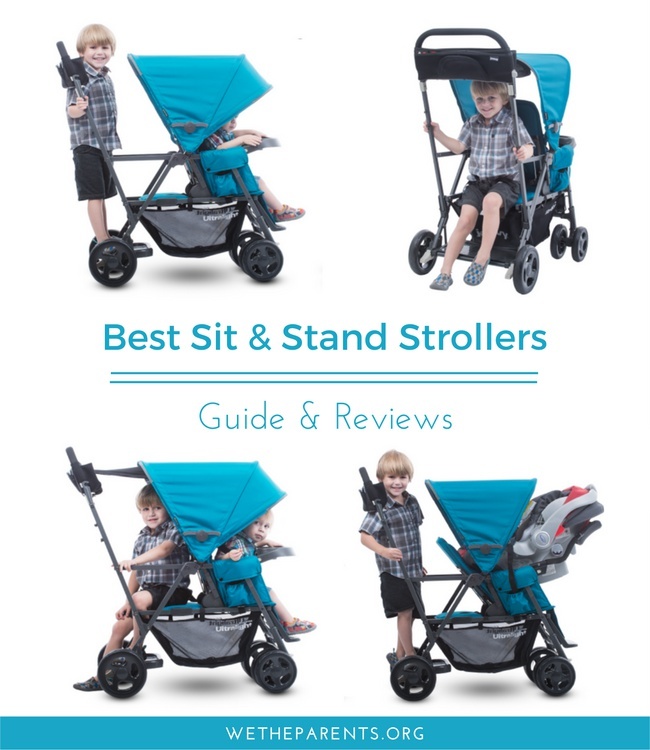 For a more detailed buyer’s guide on double strollers, check out our full article here. This product has a solid rear suspension to absorb the shock that comes from jogging or running. Although it can only fit one car seat with the purchase of an adapter, it has comfortable seats for both kids and a handlebar that adjusts to your optimum height. The wheel can swivel or lock, and it folds up easily using just one hand. Unfortunately, it is on the pricier side, but it’s a solid product with plenty of storage, and the canopy has a viewing window so you can look down and see your children. You can lock the wheels for jogging and running, or leave them on the swivel setting for an enjoyable walk with this stroller. It cannot take car seats, unfortunately, but both seats do recline individually, and it’s a reasonably lightweight product for a double stroller. Easy to fold and unfold, this product might not have all the features of its more expensive counterparts, but it provides a safe and smooth ride for you and the kiddies. Jogging strollers can certainly be one of the more expensive things you will buy for your child. If you are looking to stick to a budget, check out this product. Baby Trend delivers another affordable product for your singlet with this stroller. The wheel can lock or swivel, but it’s worth noting that some parents have found the swivel option to be subpar to many other strollers. Another con to this stroller is that the handlebar does not adjust. It is, however, compatible with Baby Trend Flex-Loc and Inertia Infant Car Seats and is easy to fold. With so many jogging strollers on the market, it’s important that you find one that will provide comfort and functionality for both you and your baby. Let’s go over some information and tips before you pick out your product. Since very young babies lack sufficient strength and stability in their neck and core muscles, you will have to wait until they are a bit older before having them join you on your jog. Most experts believe that six months is the absolute earliest you should start jogging with your baby. They also suggest that you check with your pediatrician to make sure your child can withstand the extra and faster-paced movement of being your exercise partner. Some even go so far as to say that you should remain on smooth running surfaces until your baby is one year old. We know that wait can be hard, but your child needs to have developed enough to sit on their own and hold their head up before they can safely join your running routine. As the foundation of the stroller, you want to make sure you are investing in something with a quality set of tires. The most common design of a jogging stroller is to have three tires, two on the back and one out in front, that are filled with air. Air filled tires make for a much smoother ride and a better performance on rugged terrains, so you won’t find the same variation of wheel types as you would in all-purpose strollers. The wheel sizes are also larger on jogging strollers, as this makes pushing easier and the position of the front wheel absorbs more shock before it reaches your baby. You will often see back wheels come in at 16+ inches, with front tires being around 12+ inches. Locking or Fixed Front Wheel? Hitting even a small crack in the sidewalk at higher speeds can throw a swivelling wheel off balance, and thus create a dangerous situation for you and your child. Some jogging strollers come with the option of having a wheel that swivels and locks, depending on how you set it, which is a great option to have if you plan on using your stroller for errands as well as exercise. If you only plan on using your jogging stroller during your exercise routine, a fixed front wheel is fine. Most jogging strollers come equipped with sling seats, as well as a rear suspension system. This helps your baby have a comfortable experience even over rougher terrains. When you’re going down a hill, it’s nice not to have to put stress on your body leaning back to slow down your stroller. A handbrake allows you to slow down without breaking your pace and can help prevent muscle strains. While not ubiquitous among jogging strollers, it’s certainly a nice accessory. You can never be too safe when it comes to your little bundle of joy. When it comes to your jogging stroller, here are a few things you need. 5-Point Harness: Like your car seat, this harness will go over the shoulders and hips and between the legs. 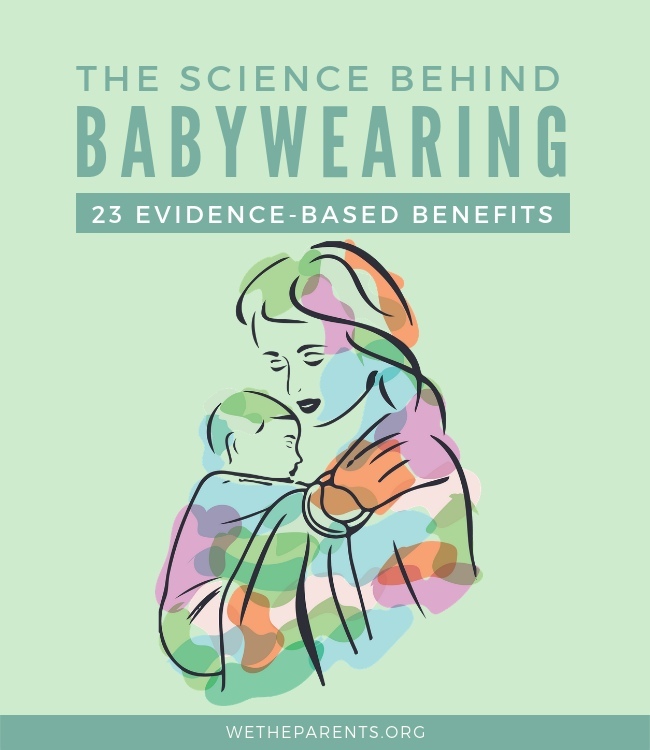 It should be comfortable for your baby and but fit snug enough so they can’t wiggle out of it. Safety Tether: One end attaches to your wrist, and the other to the stroller. If for any reason the stroller ever escapes your grasp, the tether will go taut and you will quickly be able to regain control. This can be a lifesaver, especially in more urban areas. Parking Brake: It goes without saying that this is a necessary safety feature. Be sure to check it is working by moving your stroller gently back and forth whenever you have engaged the brake. Canopy: The jogging stroller you choose should have an adequate canopy to protect your baby from the elements. As a parent, it is important that you practice self-care and do your best to stay healthy. One of these jogging strollers will help you to do just that, without the parental guilt of leaving your little one behind. These products allow both you and your baby to get out into the world and breathe in some fresh air. You remember that, right? It’s the stuff that doesn’t smell like a diaper pail and will do wonders for rejuvenating your body and mind. Happy trails to you and your family, and don’t forget the sunscreen and water on your journey.